Delicious Food and Drink Lined Up! We know that food and drink is a really big part of the Proms and Prosecco in the Park experience! So, we’ve put together a mouth-watering array of drinks and eats for the event. If you’re feeling hungry, you may want to look away now! We have four separate bars each with their own distinct offering, travelling far and wide to attend the event. 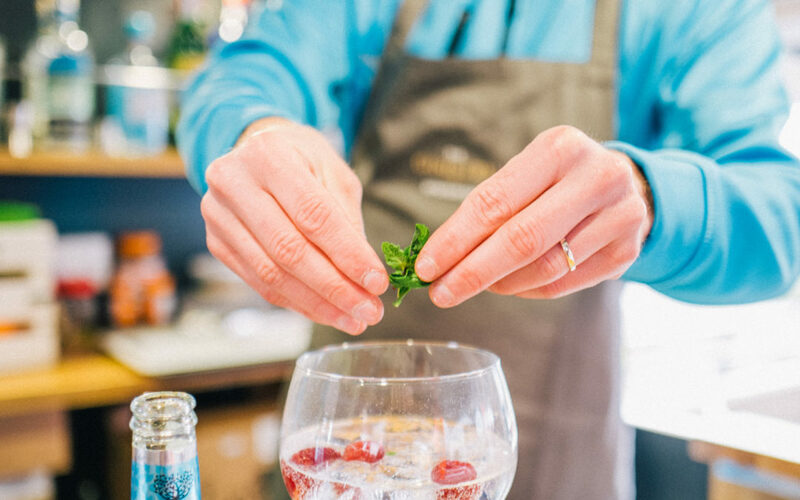 Look out for a gorgeous Prosecco bar from Staffordshire’s A Drop of What you Fancy, as well as customised Gin and Tonic’s from The Ginistry who will be joining us from their base in London. Manchester’s Movers & Shakers who will be shaking up cocktail classics, mocktails and children’s cocktails and Newport’s own brewery, New Brew will be providing craft ales, lager and cider. Street food stalls include Carnival Pizza, cooking delicious wood-fired pizzas, described by one of last year’s audience as ‘the best pizza I’ve ever had!’ as well as American soul food from Momma B’s – the very height of comfort food! Coffee, crepes and hot chocolate will be on offer from Van Chaud whose incredibly chocolately hot chocolate was a huge hit last year! Masala Street Food will be serving up an array of noodles and Indian snacks and Nui’s Kitchen will be creating a delicious menu of Thai favourites from their fabulous trailer. The beautiful VW camper, Camper Hamper, will be serving gourmet burgers, Per Cup will be providing speciality coffees and hot drinks and for those with a sweet tooth, we have indulgent fudge and a wide variety of unusual doughnuts from Made With Fudge. Children and adults alike will love the event’s ice cream bar from Craft & Roll. Based in Shrewsbury, they specialise in delicious handcrafted ice cream rolls using unique chopping, infusing and spreading techniques developed in Thailand, and its quite a spectacle to watch! You are also welcome to bring your own picnic hamper and drinks, including alcohol, as well as tables, chairs, blankets and candelabras to settle in for an afternoon and evening of fabulous music. Headlining this year is British soprano and Downton Abbey songstress Mary-Jess. She will be joined by tenor Jack Foley, the incredible String Infusion – a string quartet with a twist, Newport Male Voice Choir, A Choired Taste and more acts still to be announced. The evening culminates with a Last Night of the Proms style finale with plenty of singing and flag waving! Early bird tickets are available until 30 June, priced at £19 or £18 for groups of 10 or more. Children under the age of 13 go free. From 1st July tickets are priced at £28 or £27 for groups of 10 or more. Entry is via advance ticket sales only and ticket sales close 1st September. We hope to see you at this year’s Proms & Prosecco in the Park!